HTC One has won the heart of the users since its release in 2013. Every new model brings more surprises to astonish the users. So, everyone’s eyes are on the upcoming model of the series, HTC One M10. Let’s find more about it. 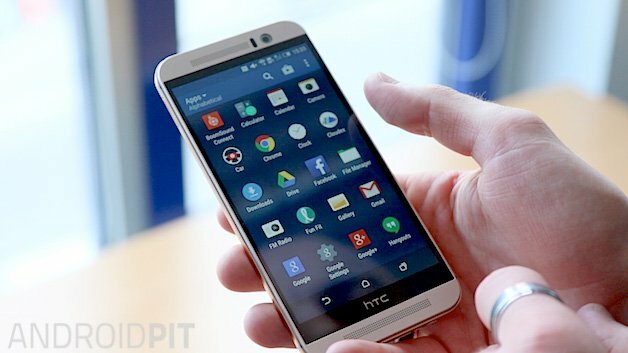 The internet rumors are suggesting the release of HTC One M10 in February or March 2016. The speculation is that the same logical progression may not be followed in case of the new model, due to unsatisfactory sale of HTC One M9. So HTC might give it a different name such as HTC Two in order to avoid its comparison with the not so successful HTC One M9. In fact according to a report from China, HTC might scrap the previous naming system which was initiated as a code name. For finding more, we really have to wait till its release. Well, if we study the previous trend; the cost of One M8 was 550 pound and of M9 was 579 pound; so we can expect the similar hike in case of the HTC One M10. May be it is too early to comment about the prices, but since it is under the flagship HTC, similar trend is expected. We all aware of the fact that M9 could not attain the expected success, the reason for it could be that HTC has underestimated the people’s desire for the change. Moreover, there was not much improvement in it over M8. As a result there were several issues related to camera and battery life. Samsung held faults in Snapdragon 810 responsible for it. Screen and body: Since the screen of M9 was bigger (5in 1920×1080 display) than the competitors and was striking, large screen is expected in the new model also. But according to a Chinese report the screen might be small of 5in and can have 4K resolution. It might not be astonishing if HTC One M10 sticks to QHD – 2560×1440, as high pixel density on a sub-6in screen is undesirable. The Chinesereports are indicating a 6in screen with Quad HD resolution. The aluminum body is expected which could be waterproof. Processor: The possibilities are that the new model might come with a faster processor such as Snapdragon 820. Storage: According to the rumours the storage option would be 64 and 128GB, with 4GB RAM. MicroSD slot: No doubt M9 has addressed the people’s demand for improvement in the microSd slot by bending it backwards. The additional improvement expected in HTC One M10 on-board storage. Camera: The camera is expected to be enhanced; the chances are to find 27Mp main camera with a 5Mp front camera in HTC One M10. Battery: As per a Chinese report it might have a 3500mAh battery. Hope you have got an idea about what HTC One M10 is storing for you. We would update information on getting more news. To know more about your favourite Smartphone, keep visiting us.